During the last half of the 1600s, the Baptists in England flourished. While they were being persecuted for their faith, they planted nearly 130 churches within twenty years. These were days of great persecution, but also great growth and promise for Baptists. When William and Mary ascended the throne, they brought with them a new toleration. They enacted the Act of Toleration in 1689, which provided Baptists, and other dissenter groups, with relative freedom. Though the Baptists could not attend the universities and still had to pay taxes to the Church of England, they were free to worship without fear of governmental penalty. Because of this new found freedom, a large number of Baptist churches in London gathered and openly adopted the Second London Baptist confession (written 12 years previously). Why did the eighteenth century English Baptists neglect the mission of the church? What did the eighteenth century Baptists do to recommit themselves to the mission of the church? Whereas personal witness seeks to produce converts, corporate mission seeks to produce congregations by organizing such converts into local churches. 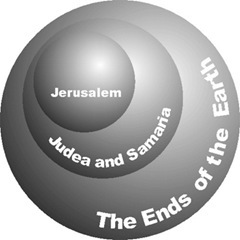 The bulk of the New Testament (from Acts to Jude) deals primarily with the starting and strengthening of local churches. During Paul’s first missionary journey (Acts 13–14), he and Barnabas followed a clear plan: after being commissioned by their home church in Antioch of Syria, they established a new church in Antioch of Pisidia, from which they evangelized neighboring cities, establishing other churches. Paul’s second missionary journey: Paul followed the same pattern during his next missionary journey (Ac 15.36–18.22). 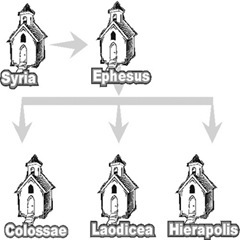 On this occasion, Paul established the “mother church” in Ephesus, which commissioned Epaphras (Col 1.7) to establish churches in these other cities. In both of these cases, Paul or a fellow worker communicated the gospel, organized congregations, taught them doctrine, helped them appoint pastors, and checked back on their progress. The end result was always an independent local church. Paul was not only concerned about reproducing a doctrinal system in the churches that he established, but also about making sure those churches followed his application of doctrine. When most people hear the word “missions,” they usually think of ministry that takes place on foreign soil. The corporate mission of the church, however, includes the reproduction of congregations in one’s own community, provided the community is large enough to sustain multiple congregations. Reproduction of congregations tends to promote service. 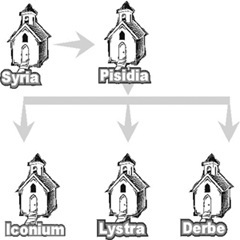 The early church multiplied via many small house-churches due to the lack of facilities large enough to house all of the believers in a particular community. Although larger facilities are available today, it may be wise to limit the size of a church in order to promote service. As a church grows, it may reach the point where it starts producing spectators rather than servants. At that point, a new congregation should be started to provide more opportunities for service among its members. The church that was established in Jerusalem was expected to minister beyond its own community. Its goal was to reproduce itself worldwide. Whenever Paul started a church and strengthened it to the point where it could function on its own, he left to start churches in other areas. Logically, we tend to think that freedom of religion automatically brings expansion. We reason that if we remove the obstacles, growth will automatically occur. That is not the case. Though freedom of religion does eliminate certain hindrances, it does not guarantee that the mission of the church will be carried out. The mission of the church is only accomplished when it is intentionally pursued. The early church believers and apostles lived in a day when Christianity was viewed as a threat to government. That is because unsaved man does not want to submit himself to the Lordship of Christ. The early believers suffered persecution, even death for their faith. The following verses were written to encourage believers that hostility does not curtail God’s purposes, rather hostility is the “seed” of perseverance and expansion of the gospel. With the mission of the church in mind, we will now see why the spiritual stagnation settled in among the Baptists of the seventeenth century. Why did they lose so many during this time? This question cannot possibly be adequately answered in one lesson. Historians offer many reasons for the decline: 1) exhaustion from fighting for religious freedom;4 2) failure to maintain a ministerial leadership;5 3) most prominently, their failure to evangelize (i.e., a belief in hyper-calvinism).6 Nearly every historian offers the latter cause for the decline. This is where we will focus our attention. A Belief in Hyper-calvinism Led to the Decline of the Eighteenth Century English Baptists. 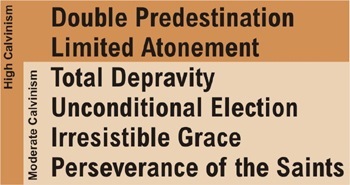 Neither of the above statements correctly identifies the heresy of Hyper-calvinism. A belief in all five points of Calvinism is not Hyper-calvinism. Many “five-pointers” were not Hyper-calvinists. Neither is the problem one of “overemphasis.”10 How can one overemphasize the absolute sovereignty of God? Hyper-calvinism is not equal to Calvinism. It is not uncommon for one to equate hyper-calvinism with Calvinism. Many fail to distinguish between the two. Some use the word “Hyper-calvinism” as a polemic against Calvinism. It is easier to defeat an opponent by attaching the word “hyper” to his system of thought than to dismantle his system with Scriptural proof. Hyper-calvinism is neither a logical nor necessary extension of Calvinism. It is an aberrant theology that distorts real Calvinistic thought. An overt opposition to evangelistic efforts. The thinking that expanding ministry is not a grand priority. Seeking to build a ministry on transfers rather than fresh converts. Hyper-calvinism produces a stagnation and apathetic attitude toward evangelism. This generally results in a decline in numbers. But that is not always the case. Historically, there have been many Hyper-calvinists who drew large numbers to their churches.15 The main problem of hyper-calvinism is not a lack of numbers, but a disdain for evangelizing for fresh converts. The mission of the church is to reproduce itself. That is not to say that there is no room for a large church. 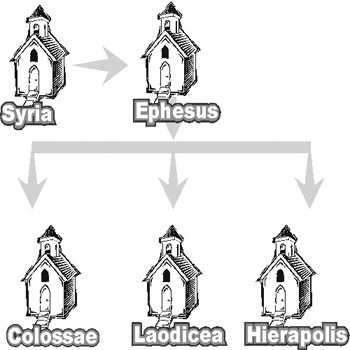 God uses large churches for special purposes (e.g., establish seminaries, colleges, etc.) The problem is not so much size but purpose. 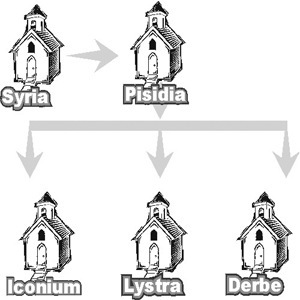 Since the purpose of local churches is reproduction, consolidation should be minimal. What did the eighteenth century English Baptists do to recommit themselves to the mission of the church? In 1770, a man by the name of Charles Whitfield organized churches in Durham. In Yorkshire and Lancashire, John Fawcett assembled seventeen churches into an association in 1787. The establishment of these associations helped recover the biblical mission to reproduce churches of like faith and practice. The Act of Toleration prohibited Baptist ministers from attending Cambridge and Oxford. Added to that, many could not afford further education. Baptist pastors received less compensation than other Dissenters, and far less than those in the state church.23 It was not uncommon for them to work other occupations to support their families. To help the pastors, a “London Fund” was established. This would be used to assist needy ministers and educate young men for the ministry.24 This fund was strictly designed for those who subscribed in full with the Second London Baptist Confession. Neither did they allow the Arminian General Baptists to contribute to this fund. This did not come without opposition.25 The fund still operates today and has been used to help many pastors survive in their ministries. This fund along with another supported Bristol College. From 1760–1820, Bristol academy graduates filled London Calvinistic Baptist pulpits. This influx of evangelistically, well educated men helped overturn the ravages of Hyper-calvinism. This is probably the most important factor that turned the Baptists away from hyper-calvinism. Men like Andrew Fuller and William Carey spearheaded a missions movement that virtually eliminated hyper-calvinism. Space is limited to expand this factor. The next lesson will focus entirely on the missions movement and its impact on Baptist Life. 1 Throughout this lesson, it should be noted that we are still looking only at the English Baptists. The American Baptists have a different history in the eighteenth century. That will be developed in lessons 8ff. 2 This point was extracted from Lesson 29 of the Biblical Foundations for Living series. 4 McBeth, p. 122; Torbet has a modified view in that he sees that they were “still preoccupied with the winning of religious liberty.” p. 69. 6 Vedder, pp. 239ff; Torbet, pp. 68ff; McBeth, pp. 171ff. 7 John Rice, Some Serious, Popular False Doctrines (Murfreesboro, TN: Sword of the Lord Publishers, 1970), p. 274. 8 He uses the terms “excessive Calvinism.” See various names used for “hyper-calvinism” Footnote on p. .
9 Douglas McLachlan, Reclaiming Authentic Fundamentalism (Independence, MO: American Association of Christian Schools, 1993), p. 63. 10 It is said that hyper-calvinism is an exaggeration of Calvinism. This is more accurate. 11 Iain Murray, Spurgeon v. Hyper-calvinism, p. 40. 12 Before the term “hyper-calvinist” was coined, they were called “High calvinists.” Since the 1900s the term “high calvinist” has been defined as it is in this lesson. 14 Hyper-calvinism has also been called Excessive Calvinism, Ultra-Calvinism, Extreme Calvinism, Pseudo-Calvinism, Hard Calvinism, Thorough-going Calvinism, Rigid Calvinism, Unbalanced Calvinism, and Calvinism-run-mad.” See Daniels, Hyper-Calvinism, pp. 747ff. 15 e.g., William Huntington, William Gadsby, James Wells. See Curt Daniels, Hyper-calvinism and John Gill, p. 448. 19 Jim Renihan, Church Planting and the London Baptist Confessions of Faith. 21 Later became Spurgeon’s Tabernacle. 26 The original read “high calvinism.” Until the term “hyper-calvinism” was coined, “high calvinism” was used. 27 Continuity and Change, pp. 130–1 quoted by Iain Murray, Hyper-calvinism, p. 133.